Windows Phone 7.8 update causing volume problems with the Nokia Lumia 800? 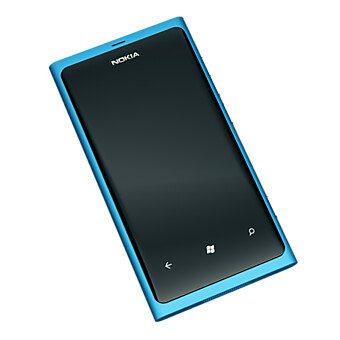 Owners of the Nokia Lumia 800 were happy to have received the Windows Phone 7.8 update. While it didn't have most of the new features of Windows Phone 8, the update brought the resizeable Live Tiles, the ability to use Bing wallpaper on the lock screen, and the twenty themes found on Windows Phone 8, to name a few. One thing that owners of the mid-ranger aren't too pleased about, is the apparent drop in volume strength that is being complained about on the Nokia Discussion Forums. Music that was loud at the volume level of 15 prior to the update, now has to be cranked up to 30 to reach the same level of volume, according to complaints. Low music cannot be heard at all. And since reflashing Windows Phone 7.5 back on the affected handsets eliminates the volume problem, the issue is not with the phone itself, but with the update. 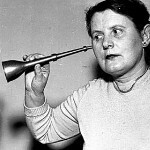 The Nokia Lumia series has had problems with volume. The current flagship model and its mid-range brother, the Nokia Lumia 920 and Nokia Lumia 820 respectively, have had issues with the volume being capped when loud music plays. This results in low volume for all sounds until the phone is rebooted. Are any owners of the Nokia Lumia 800 discovering a problem with volume strength after the Windows Phone 7.8 update? Let us know by dropping a comment in the box below. Like someone wise said "No software is bug free" software is software, trying to patch up a bug sometimes might create another bug, an upgrade is sure to bring bugs and there are a lot of variables that affect the software too. That kind of comment only shows that everything must be perfect in your own little world. OMG!!! someone should inform apple of this. Should of got a real phone! Would never have had this problem if people just upgraded to the Lumia 920. It's better i every single way and is pretty easy on the wallet. I was happy with it. Because everyone can afford a brand new phone worth about $500. Thank God and I thought I was the only one!!! I updated my lumia 800 and I can barely hear it while commuting!! I was getting very frustrated!! Till now i could hear the songs clearly at 21-22, but now even 30 isn't enough. Nokia please release a fix to this problem.! I knew something was wrong! After the update the keyboard sound is just too low, I barely can hear in a silent place! Before it was pretty audible Not a big deal but now with this report make total sense! tired of microsoft and lumia treating us like crap. updates havn't rolled in my region still. most users in US pay cheaper for any given mobile than other regions, still we're the last to get a damn update. this is the first and the last phone I'll ever buy from nokia or microsoft. My Lumia 800 works perfectly , PHEW :D Sorry for you guys though :( .. Question for the ppl that are having the issue- Did you do a hard reset after the update? I unofficially pushed the update to my unlocked, unbranded Samsung focus S & after that some stuff didn't want to work but after I did a hard reset things work perfectly. All I'm saying is that the MS update works fine if there is a bug it's coming from what Nokia added. I can't increase my volume above 13!!! Love the Windows Phone update, but i payed for my phone to have a premium portable music player. It had that, now i cant listen to anything from my premium payed for Spotify Account when i am on the train or on the bus. Like this if you feel the same way so that Nokia have a better chance at seeing this. My Phone volume goes up for like 5 to 10 minuets then it goes back down to 0 and i cannot turn it back up as it will not let me HELP anyone ?? ?